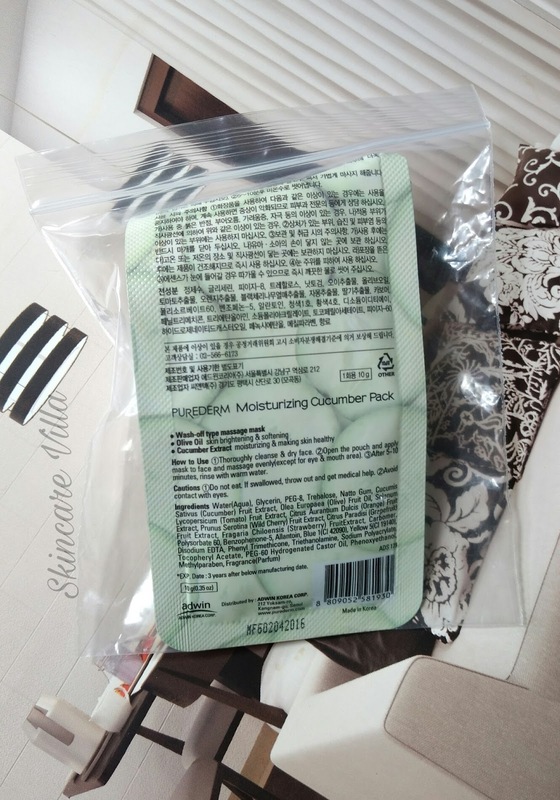 I am back with another review of a pack which I received from Skin18.com. Read onto know why am in love with the pack which is budget friendly as well as great in moisturizing effects. 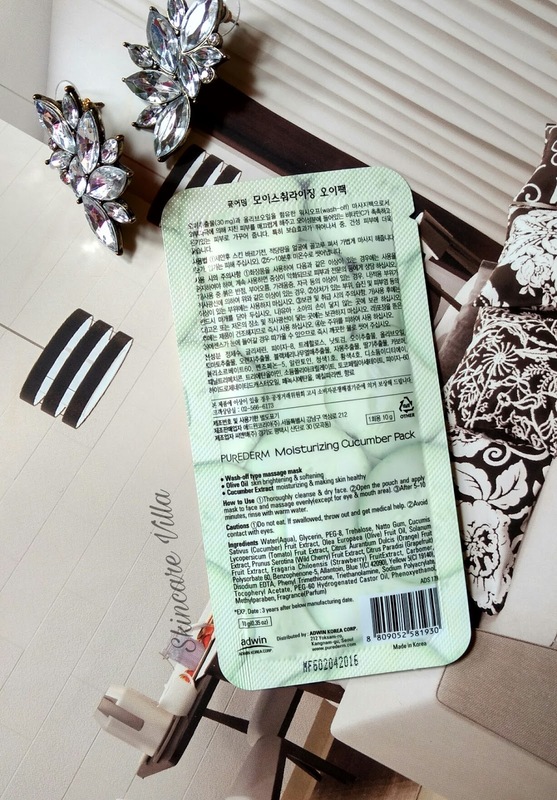 A wash-off type mask which is available in different variaants depending upon the natural ingredients such as Aloe, Cucumber, Grape, Green Tea, Kiwi, Mango, Strawberry, Tomato or Vitamin E. All of those packs also contain Yogurt extract as its main ingredient. Yogurt ingredient has a strong function for anti-aging such as to reduce fine lines and avoid wrinkles formation. Yogurt also contains lactic acid which can dissolve dead skin and tighten pores at the same time. As seen in the pictures the pack is available in a small pouch. The pouch is compact and hence travel friendly. The pack has a thick gel consistency and is opaque in nature. As soon as you dispense the pack a fresh cucumber fragrance hits you. The fragrance is not at all artificial rather it smells exactly like cucumber slices or fresh cucumber juice. The gel dispenses with a bit difficulty as the gel has an uneven consisency. The gel resembles more of cucumber pulp 😊. I applied the pack as directed. 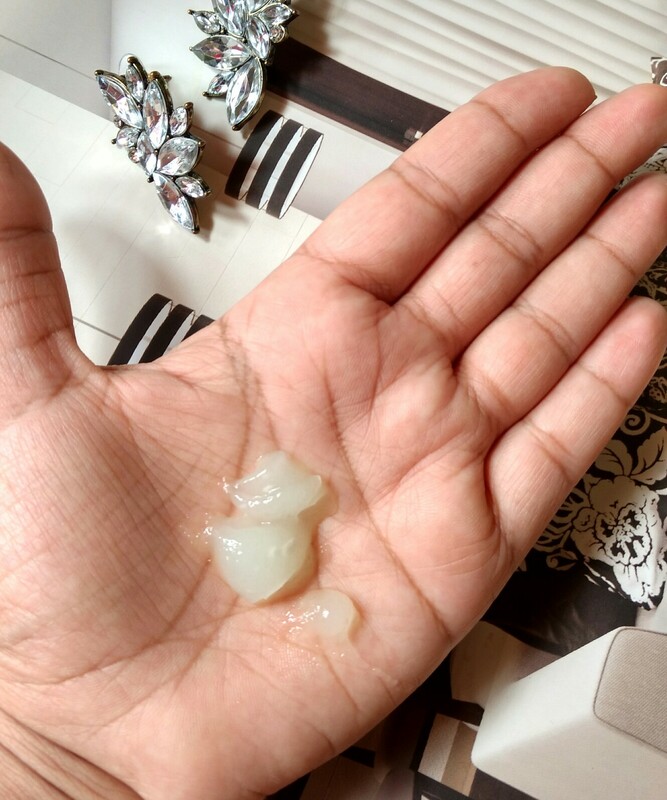 At first I applied a thick layer and then massaged it into the skin. After 5 minutes rinsed with cold water. While drying I felt a little strechy free, the same when we apply fresh cucumber juice. After rinsing my skin felt soft, smooth, evend out and had a subtle glow. The glow lasted a few hoyrs say 1-2 hours. But the moisturizing effect lasted around 7-8 hours. Even after washing my face with facewash afterwards still my skin felt smooth and evened out. The moisturizing effect goes deep down the skin and are not superficial or topical. I would love trying the other variants from the same pack. Morover the pack has enough quantity for 3-4 uses. I have stored the pack in a zip seal bag for future use. Storage after one use is a problem as the pack has sufficient quantity for 3-4 uses. Price, shelf life - $0.95 for 10ml with a shelf life of 3 years. 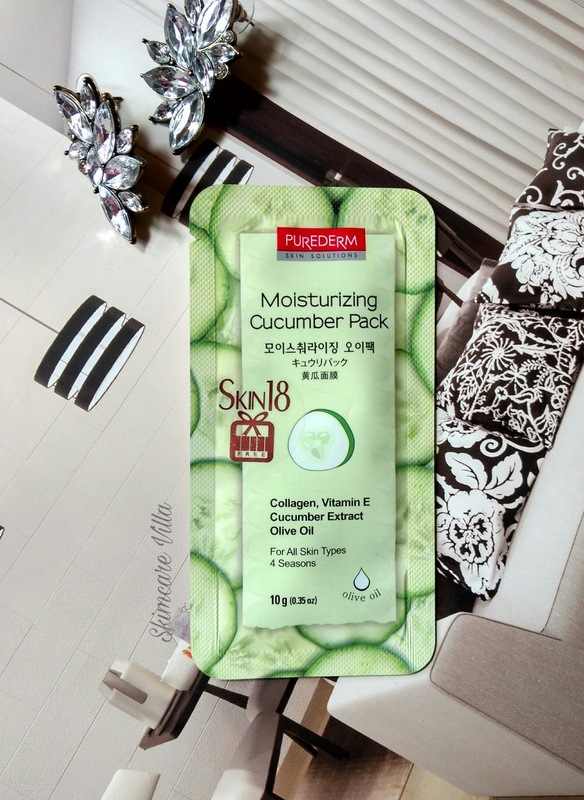 I would recommend the Purederm Cucumber Moisturizing Pack for it's intense moisturizing effects. It is a great option for our skin while we are travelling as an on the go option. I would like to try other variants especially the Vitamin E variant. Do try if you get a chance to try it.